My love for animals started early in life. I grew up in India where we had a variety of pets including dogs, cats, rabbits, a pet monkey, and pigeons. Despite growing up in a large family of caregivers, the care of our family pets seemed to naturally fall on me. Good veterinary care was not available in the part of India where I grew up. When poor care resulted in the death of one of my cats, a desire to be able to help animals started. Our parents routinely read the James Harriet books to us and this also helped me find my calling. Learning at an early age that proper housing and nutrition care can make all the difference in an animals life, I applied this learning experience into my studies when I got accepted into the veterinary program at the University of Guelph. Once graduated in 1991, I was honoured to accept a position in Dunnville and eager to start working in the environment I had come to love during my externship here. It is important to me that pet keeping is a positive experience for all concerned. I look forward developing long term relationships with my clients and their pets so we can work together to ensure the pets they love receive the best possible care. Treats are always in my pocket ready to greet your pet and gain their trust. As a mixed animal practitioner, I want farmers to be successful in their business and at the same time their animals should have a good quality of life and be treated humanely. My wife and I have a blended family of five children and five grandchildren, soon to be six! We are both animal lovers and enjoy spending time with our dog, Frankie, a golden retriever, and Whiskey, our cat. Life is to short to get hung up on petty matters, Let’s get along and make life better for all including our animals. ​Prior to my graduation from the Ontario Veterinary College in 2010, I completed my undergraduate studies in Animal Science at the Ontario Agricultural College. Upon graduation from OVC in 2010 I was fortunate to be hired immediately by Drs. Reid and Perry. It is a privilege to work and consult with the other veterinarians in a team-oriented practice. My interest for animals began at a young age on my father's small cow-calf hobby farm. After the cattle were sold my father encouraged me to ride along with his veterinarian Dr. Henk ten Oever for take a kid to work day in grade 9. The experience I had that day reassured me of what I wanted to do for a career. I practice mixed animal medicine and provide service to both our large and small animal clients, which brings variety to my career. I enjoy working with our producers ensuring the health, productivity and welfare of their animals. I am an advisor to our Dairy producers for CQM (the Canadian Quality Milk program) an on-farm food safety program to ensure the safety of meat and milk leaving our dairy farms and entering our grocery stores. Continuing education is important to me, so I am an active member of the OABP, AABP, IAFAS where I stay up-to-date with current thoughts and practices in bovine medicine and surgery. I am also a member of the Niagara Peninsula Veterinary Association, which allows me to attend evening lectures on current topics in small animal medicine. I joined the team at the Dunnville Veterinary Clinic in May 2007, following my graduation from the Ontario Veterinary College in Guelph. Prior to receiving my veterinary degree, I received an Honours Bachelor of Science degree from the University of Western Ontario in London, and a Master of Science degree in Physiology from the University of Guelph. I bought into the practice in July of 2012. My interests in veterinary medicine are broad. I spend most of my time working with our dog and cat patients and their families, but also enjoy the large animal side of our practice, where I work mostly with cattle, horses, and small ruminants. I have a special interest in small animal surgery and ultrasonography. In my time away from work, I enjoy playing volleyball, cycling and running. I have 2 Old English Sheepdogs and a cat to keep me busy as well. 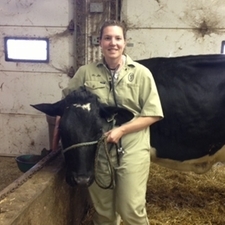 ​I grew up on our family dairy farm, located just outside Cayuga, and it was this upbringing that lead to my interest in veterinary medicine. From an early age I was involved with the care and well being of the animals on the farm and I was heavily involved with many farm organizations including 4-H and Junior Farmers. I graduated in 2002 from the Ontario Veterinary College in Guelph, and moved to the Ottawa Valley with my husband, Drew. I worked at a mixed animal practice for 6 years there, doing mainly large animal work. My husband and I and our 3 girls then moved back down to Cayuga in 2008 to be closer to the family farm. I started working with the Dunnville Veterinary Clinic in May 2009, where it has been a pleasure to get to know the clients and I look forward to getting to know those I have yet to meet. ​Dr. Tom graduated from the University of Guelph Veterinary Medicine program in 1982. Most of his career has been in mixed animal practice, recently focusing on large animal. He joined our team in 2005 after the closing of his previous vet clinic in Fisherville. 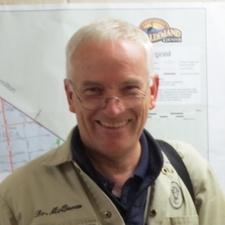 Tom is actively involved with the Haldimand Cattlemen Association and has been part of Agstravaganza for many years. When not working, Tom enjoys spending time with his wife, Edith. Growing up in rural Nova Scotia, through early exposure to Morgan Horses, Holstein Cows, pigs, dogs and cats on our family farms, I developed a great love for animals. In 1990, I graduated from Dalhousie University with a BSc in Psychology/Neuroscience. In 1992, while taking courses at Acadia University, I researched the presence of the raccoon roundworm, Baylisascaris procyonis in raccoons in Nova Scotia with the Department of Natural Resources. In 1995, I graduated from Acadia University with a MSc in Entomology; I researched The Insect Species Complex in Wild Apple and Hawthorn Trees Adjacent to Commercial Apple Orchards in the Annapolis Valley of Nova Scotia'. Upon graduation from the Atlantic Veterinary College, in 1998, I began practicing in Yarker, ON in a mixed animal practice. For 13 years, I practiced mixed animal medicine in south eastern Ontario. During this time, I was involved with sheep and goat associations in the area. In August 2010, I spoke at the International Goat Symposium in Stratford, ON, on foot trimming and dehorning goats. For many years in south eastern Ontario, I was involved with the Lennox-Addington County 4-H Association. In October 2011, I left Campbellford Veterinary Services due to the closure of the large animal part of the practice and began practicing at the Dunnville Veterinary Clinic. I enjoy greatly the variety of mixed animal practice. I believe continuing education is important and attend evening lectures, conferences and read veterinary journals and articles on a regular basis to stay current in topics in large and small animal medicine. I am a member of the Small Ruminant Veterinarians of Ontario, Ontario College of Veterinarians, Ontario Veterinary Medical Association and Ontario Association of Bovine Practioners. I am a CQM advisor for our dairy producers. I am also an accredited Veterinarian for the CFIA Scrapie Flock Program and for the OMAFRA Sales Barn, Meat Inspection and Emergency Slaughter Programs. This spring , I have also joined the Haldimald County 4-H Association and will help lead the sheep club. I appreciate enormously the warm welcome I have received from the team and clients of the Dunnville Veterinary Clinic and look forward to the challenges of veterinary medicine and life in southern Ontario. ​My interest in veterinary medicine started when my kindergarten class toured a local veterinary clinic. From that point on any time our family pets visited the vet, I was there! During my junior and senior high school years I spent as much time as possible around animals, riding and training my own horses, milking cows, weighing pigs as part of diet and nutrition study, and volunteering in local small animal clinics. I completed a science degree at the University of Prince Edward Island in 2008. I started vet school at the Atlantic Veterinary College that fall and graduated in the spring of 2012. 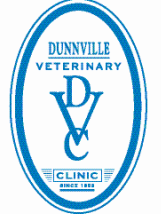 I was very fortunate to start working with the Dunnville Vet Clinic that spring. I have enjoyed getting to know many of the DVC clients and their four legged family members during my time here, and I look forward to meeting many more in the future.